Colour is a huge part of salon business, so we love to hear about new products or treatments that allow you to get even more creative with colour. Especially when it doesn’t compromise the heath of clients’ hair! 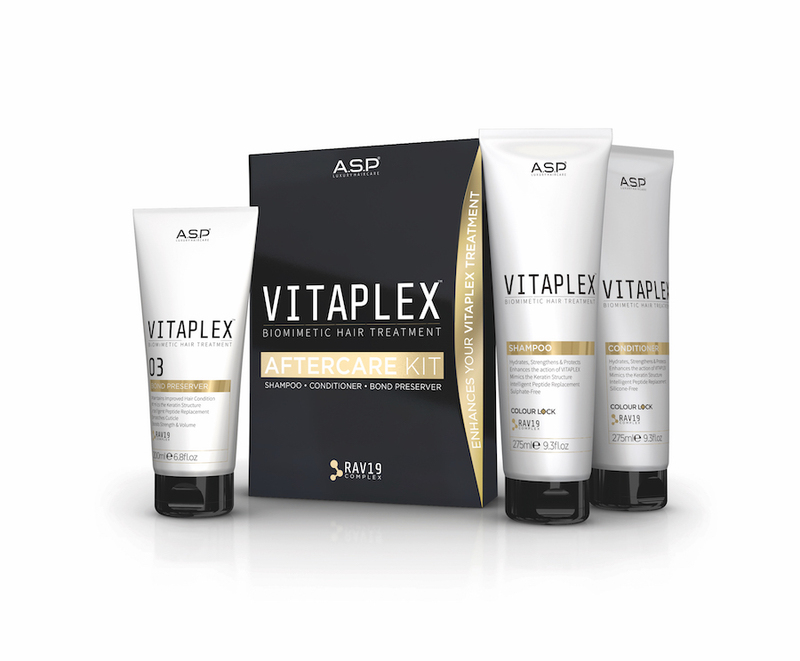 Promising to deliver all this is ASP Vitaplex. A new biometric hair treatment that allows you to lighten and colour hair. No negative impact on its integrity. Vitaplex works to rebuild damaged hair, and their handy after-care kit (which includes a shampoo, conditioner and 03 Bond preserver) ensures this treatment keeps on working. Even after your clients have left the salon. Neat, huh? But that’s not all… The Vitaplex treatment contains RAV19 Complex. It reconstructs the keratin structure by replicating and replacing, in exact sequence and quantity. The 19 amino acids that can be damaged during chemical services – effectively restoring the hair to its natural state. Impressive. We lovehairdressing; we seeand we hear how you can become the best hairdresser, colourist and salon owner possible. Contact us if youd like to know more about us. If its worth talking about, youll read it here.